Want to know my dirty little secret? I’ve never played a Fire Emblem game. 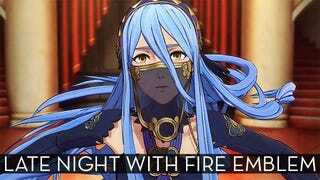 So let’s fix that by playing some of the newest game in the series, Fire Emblem Fates: Conquest. Update: The stream is done but if you want to see it, you can click the video below for 3 and a half hours of Fire Emblem goodness.